When Dan Gurney’s Cougar Racing Team took top honors in the SCCA Trans Am Racing Series, Mercury used his name and likeness to promote its Mercury Cougar pony car. 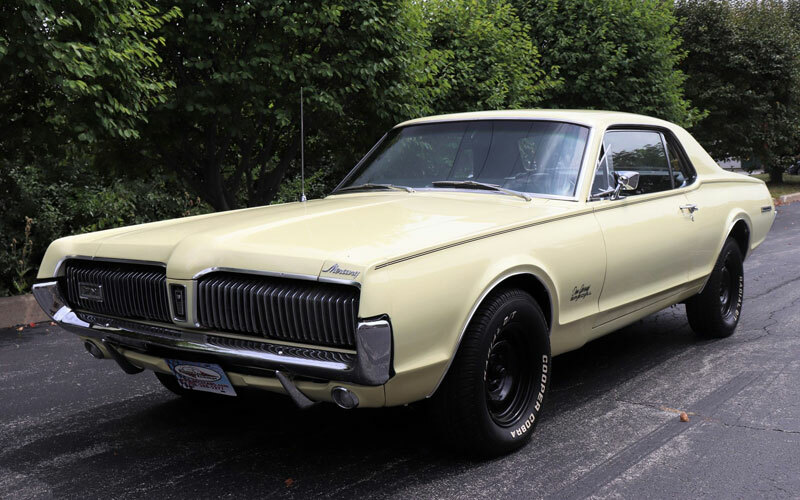 Thus the 1967 Mercury Cougar Dan Gurney Special became a hot seller. The Dan Gurney Special package included a sticker on the passenger rear window, a chrome dressup kit for the engine compartment and Turbine wheel covers. This particular car is being offered for sale by Midwest Car Exchange out of Alsip, Illinois. It features the 289 Ford small block motor upgraded with a four-barrel carburetor. The reason it will be the DEAL of the DAY is because the asking price is only $14,900. That is a discount to the average selling price of a Mercury Cougar, never mind the fact that this one is a Dan Gurney Special. Each week the DEAL of the DAY preview gives you first shot at all the top bargain priced classic cars and specialty cars on the internet. 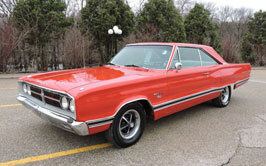 These are the cars which will be highlighted in the DEAL of the DAY feature on the Cars-On-Line home page. Often these cars sell in the newsletter before they even make it to the home page. To see all of this week’s DEALs of the DAY you may want to check out today’s fresh COL newsletter.